Looking for a place for one or any size group? Whether nestled in the woods, rolling hills or overlooking lake and mountains, we offer a wide range of options for your vacation accommodations. 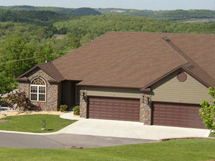 Here at Branson Regal, it is our pleasure to help you find the best Branson cabin rentals. Tell us what you envision for your ideal vacation experience, and we will provide you with detailed recommendations for location, lodging, and amenities that suit your needs! The best thing about Branson is the huge variety of ways to enjoy your time with friends and family. Unfortunately, that is also the very thing that makes it so difficult. Most folks feel overwhelmed by the number of possibilities they find online. The danger is you could end up making your choice of lodging out of frustration because of the difficulty of sifting through the massive amount of information available. Over the past ten years, we’ve helped thousands of folks cut through the clutter so their decisions become easier, insuring that they end up with what they really wanted. What places would you like to visit in Branson, MO? For example, Silver Dollar City is one of the most common requests and most of the vacation rentals in Branson, MO are very close to that attraction. But there are many other attractions, like fly fishing at Lake Taneycomo or boating on Bull Shoals Lake, which might be better served by a luxury condo or a private home. With hundreds of options right at your fingertips, we make sure that you stay in a convenient location, where you have access to all your immediate needs and desires. Our recommendations for lodging in Branson, MO are always customized based on our guests’ budget and needs. 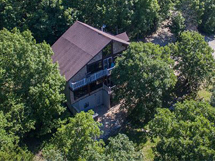 If you want a cabin, we have more cabins than any other booking service and we will help you find an affordable cabin that has all the features you will need during your stay in Branson. No matter what kind of lodging is best for your vacation, we make sure that each is completely outfitted with everything you will need. That almost always includes a fully equipped kitchen, free Broadband Internet and cable TV. Some include large jetted tubs, pool tables, fireplaces and even pet-friendly policies, and all are kept comfortable, clean and convenient. In addition to providing the comforts of home, we also make sure that you stay in an area that is filled with activities that you can enjoy with your traveling companions and even with your pets (if you bring them along.) You can go shopping, swimming, or play extreme sports. Get your bucket list ready, and we will find the perfect place for you! We not only make planning your vacation smooth and trouble-free, we are committed to eliminating any concerns that might tarnish the joy of your vacation together. To that end, we deal primarily with properties that are in secure environments and we offer several levels of travel insurance and damage protection to our guests. It is important to us that you enjoy top-shelf hospitality and that you feel secure throughout your vacation. Are you planning a romantic getaway, a group celebration, or an alone time with your pet? Tell us what you want, and we will provide lodging recommendations that match your intent. Enjoy the sunrise from your deck or get a front-row seat for nature’s marvelous lakefront show. Lakefront lodging is best for anyone interested in water activities and many of the units we represent feature boats, ramps and docks for guest’s use. The lakes in Branson are famous as well. Home of Bass Pro Shops, Table Rock Lake is one of the nation’s most popular Bass fishing lakes. Table Rock Lake is also one of the largest swimming and boating lakes in the country. Nearby, Lake Taneycomo is known as the best trout fishing lake and is stocked with millions of Trout each year. 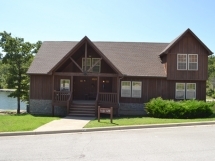 In addition to the big lakes, there are many small lakes nestled in the Ozarks with cabins and villas right on the lake shore and nearby, surrounded by the woods. Luxury condos are best for anyone interested in quality accommodations at an affordable price. Often a condo is the best choice if you want to be near downtown shows and attractions or staying on one of the many golf courses. 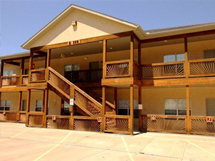 Each unit is well maintained with all the amenities you will need. We have condo sizes from studios to 5-bedrooms that can accommodate couples to groups of any size. Looking for a little seclusion? Get ready to bask in relaxation with the perfect getaway cabins in Branson, MO. We only offer the best quality cabin experience and all our Branson cabin rentals are located so you will experience seclusion and serenity even though you will never be more than a few minutes from all the shows and attractions Branson has to offer. Enjoy your stay in elegant and stylish rentals. Executive homes are large rental homes perfect for a reunion or big gathering. There is room for large groups and enough space for guests to find privacy when desired. Some of these homes have great amenities, including a private swimming pool, and some have fabulous panoramic views on large lots with few if any neighbors in sight. We at Branson Regal are dedicated to helping you experience an exceptional vacation so, before you make an impulsive decision on vacation rentals in Branson, MO, check with us. Call us at 417-203-0402. We are happy to serve you and answer all your questions. What are you waiting for? Great deals are in store for you. Call us now! *NOTE: Listings may require 24 hours to confirm price and availability. Prices and availability are subject to change at any time without notice.